CBD oil inhibits the production of sebum. And the overproduction of sebum is thought to be a main cause of acne. Unlike most acne treatments, CBD Oil is all natural and doesn’t cause harmful or unwanted side effects. In fact, CBD Oil is known to help the skin be more youthful. 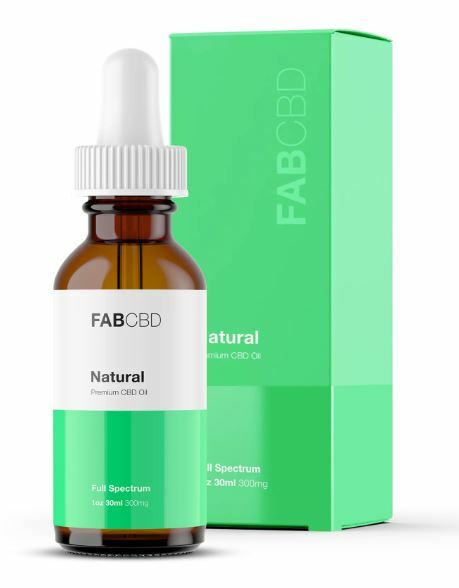 The best way to use CBD Oil for treating and preventing acne is a skin serum designed for skin use. The skin serum we like best for acne treatment is Kat’s Naturals Skin Serum which is a combination of CBD and other minerals designed to help your skin be its youthful best. Check out our ranking of the best CBD products for Acne treatment for more insight. Acne is the most common skin disease in the world, affecting 80% of adolescents, along with a small proportion of adults. For this reason, it is often overlooked as nothing more than growing pains. However, while some youths suffer from nothing more than a few pimples, others have major outbreaks that cover the entire face. There is, of course, a whole spectrum between, and the condition can lead to low self-esteem, permanent scarring, and pain. Research into CBD oil for acne indicates that the compound may provide a solution far superior common treatment options. Although acne is incredibly common, there are few treatment options that guarantee success. The most effective acne treatment currently on the market is isotretinoin. Originally marketed as accutane, generics on the market replaced the well-known treatment after a lot of controversy. Accutane and its generics come with severe risks. It can cause birth defects if used when pregnant, and has been linked to major depression leading to suicide. Furthermore, before it gets better, accutane makes the condition even worse, and can exacerbate the effects for those with mild acne. While the acne will eventually disappear, it will likely leave scarring, and the process will be marked with dry skin and peeling, and can lead to many other complications. To understand how CBD oil can help in the treatment of acne, we must briefly discuss the causes of the condition. Acne is caused by the overproduction of sebum, which is a common side-effect of hormones released during puberty. Sebum is an oily substance excreted by the sebaceous glands to create waterproofing of the skin. CBD has been shown to inhibit the production of sebum. This is because the endocannabinoid system regulates sebaceous gland function. Research indicates that CBD oil works to prevent and treat acne, whether ingested or applied as a topical treatment. Importantly, CBD has few side effects, and none that are nearly as harsh as those caused by accutane and its generics. While accutane can cause irreparable damage, CBD will at worst lead to drowsiness and low blood pressure. And it may well not lead to even those minor side effects. Acne is incredibly common, especially for adolescents, but should not be taken lightly. It harms self-esteem, making it difficult for youths to socialize, and can lead to isolation, anxiety, and depression. If not treated properly, it can leave permanent scarring. It can be particularly troubling for adults as well, as it is seen as a teenage condition. For these reasons, treatment of acne is important. CBD provides a treatment that has no major side effects, and will not lessen your quality of life. It is safe to use, and has many other benefits as well. You should also check out our review of the 30 Best CBD Companies.